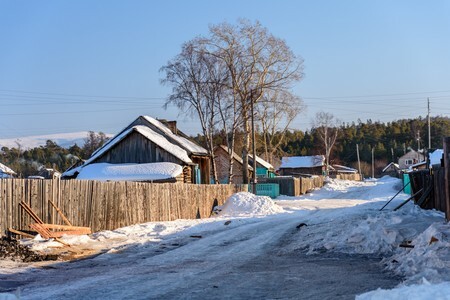 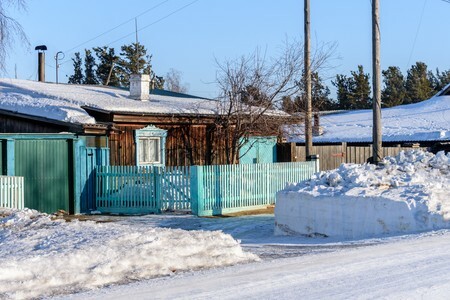 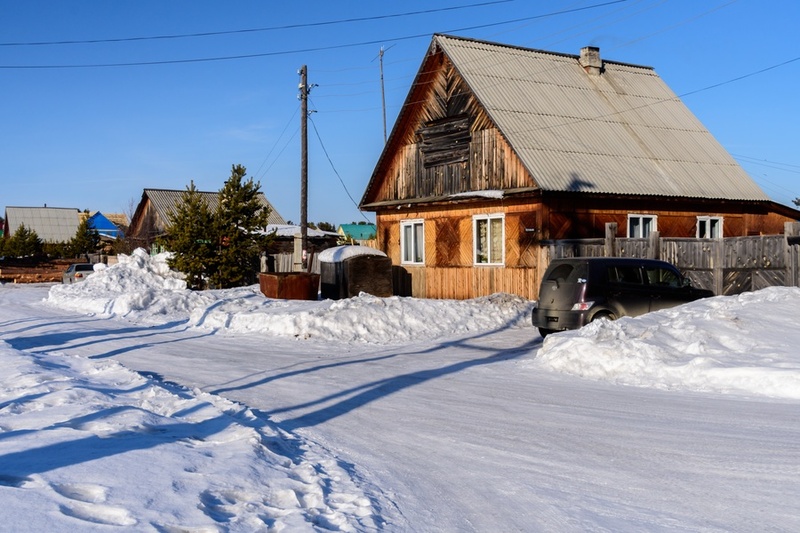 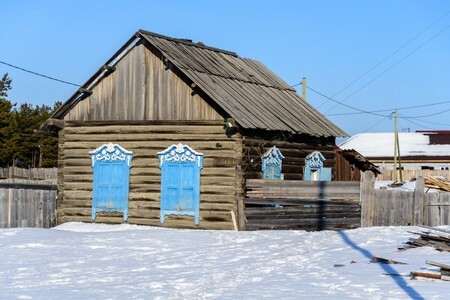 Ust-Barguzin is located on the eastern shore of Lake Baikal and is an excellent opportunity to visit a traditional Siberian village with log houses and local people busy in their daily activities such as ice-fishing. 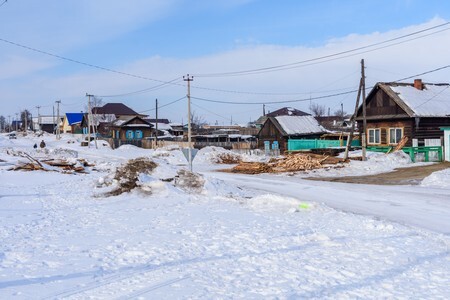 Ust-Barguzin is a village in Siberia of about 7000 inhabitants (at 2018) rising along the eastern shore of Lake Baikal, not far from the delta of the homonymous Barguzin river, the third largest tributary of Lake Baikal. 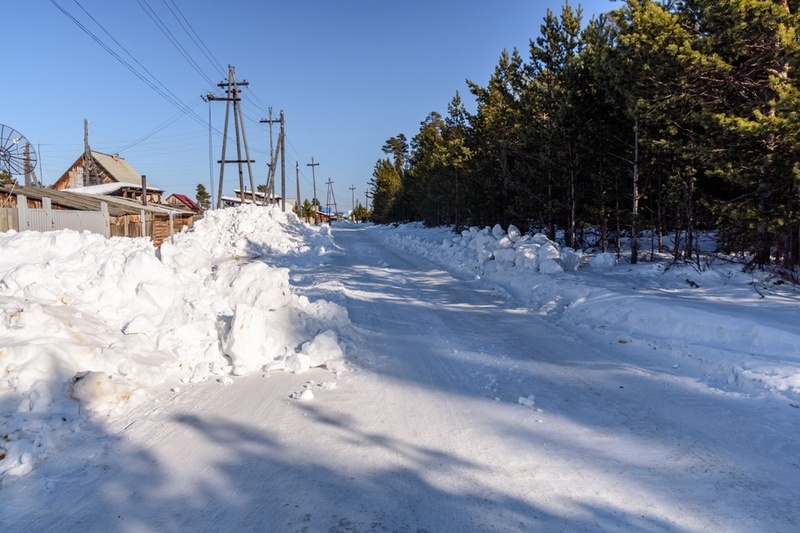 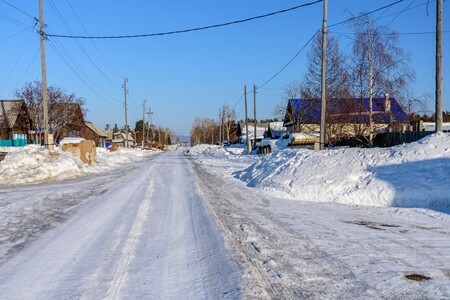 270 kilometers away, the nearest major city is Ulan-Ude, capital of the autonomous Republic of Buryatia, which is linked with a road partially asphalted and in good conditions for most of the year. 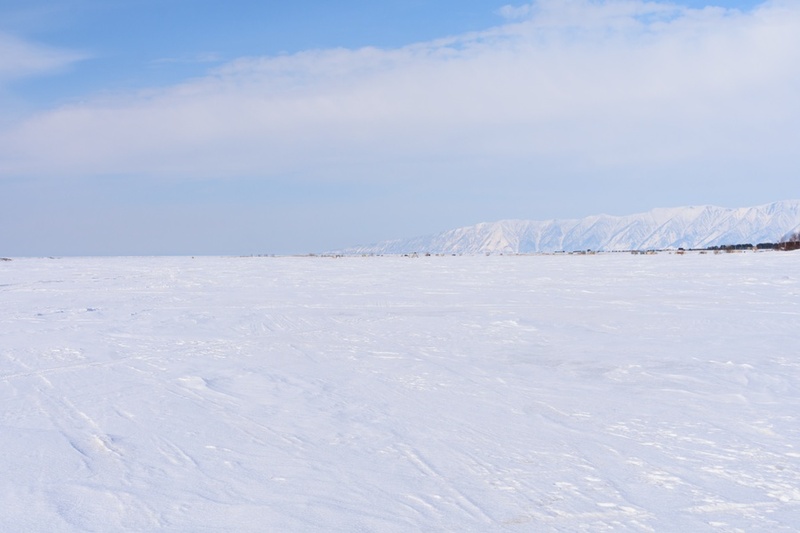 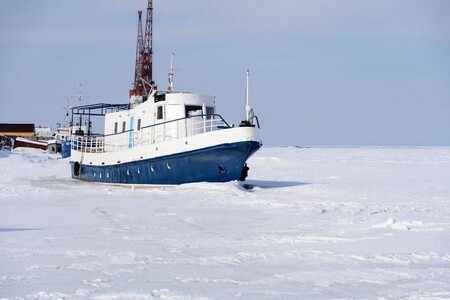 Many visitors to Ust-Barguzin will in any case get here directly from Lake Baikal by various transport options, depending on the season and ice conditions. 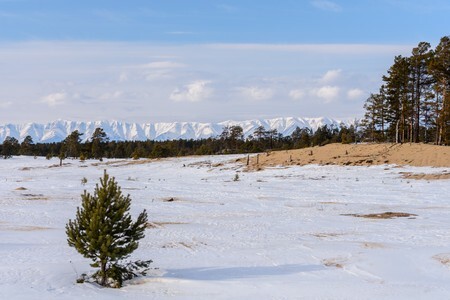 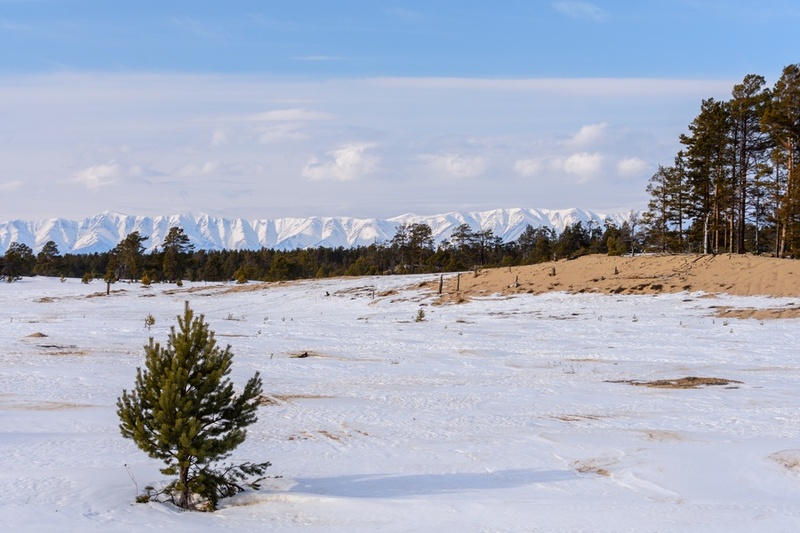 The climate of Ust-Barguzin is sub-arctic with very cold winters and mild summers, while the precipitations are concentrated mainly in the summer. 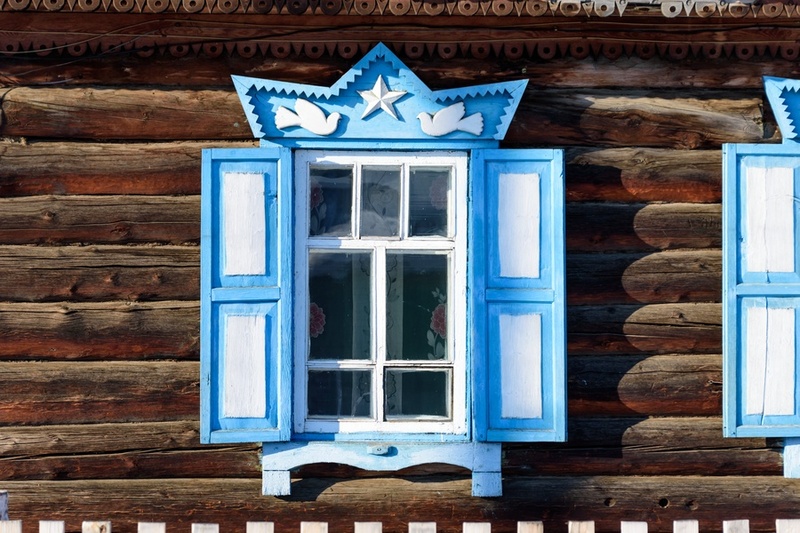 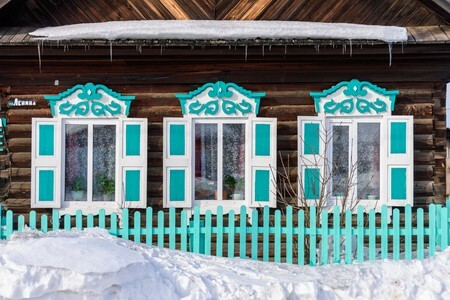 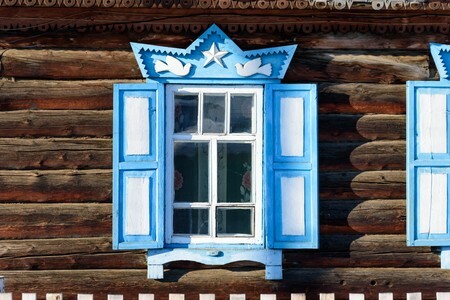 Ust-Barguzin is interesting for the traditional log houses sometimes decorated with elaborate inlays, typical of our imagination when thinking to a remote village in Siberia. 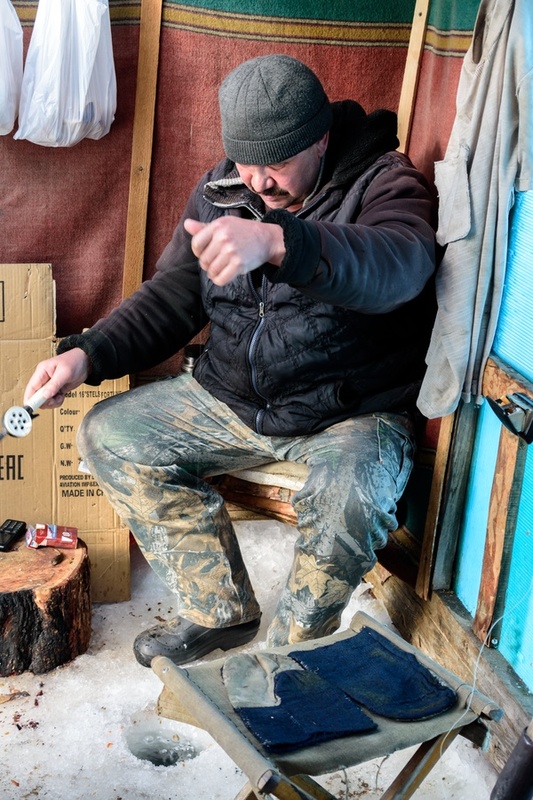 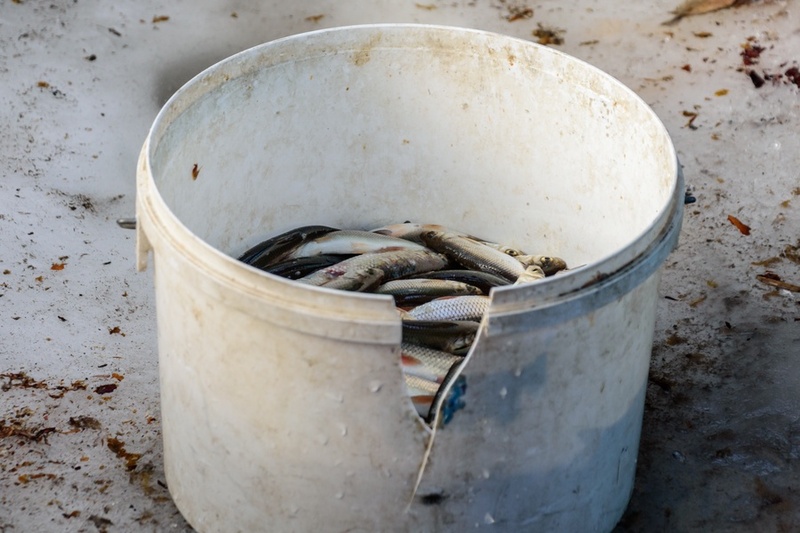 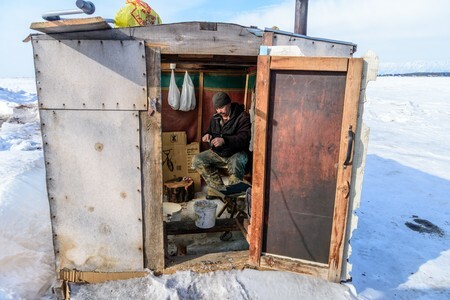 Among the local traditions, it definitely worth a walk to the delta of the Barguzin river in winter, when visitors may see locals busy in ice fishing from inside their small huts. 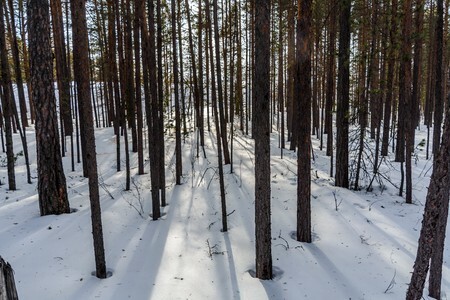 Regarding nature, Ust-Barguzin is surrounded by a marvelous boreal forest (or taiga forest) composed mainly of cedars, home to bears, moose, wolves, reindeer and many other animals that can be observed mainly in summer (in winter, short cross-country skis tours in the taiga are in any case very interesting, although it's difficult to spot wildlife). 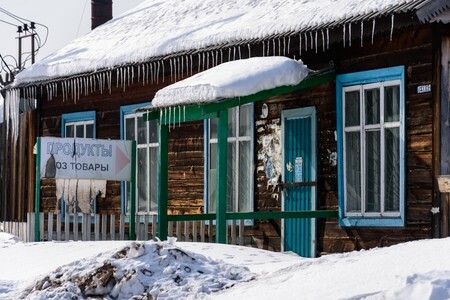 Where to stay in Ust-Barguzin? Tourism in Ust Barguzin is just at its beginning, so it is possible to find accommodation only in small guesthouses, campsites or local families offering home stay. 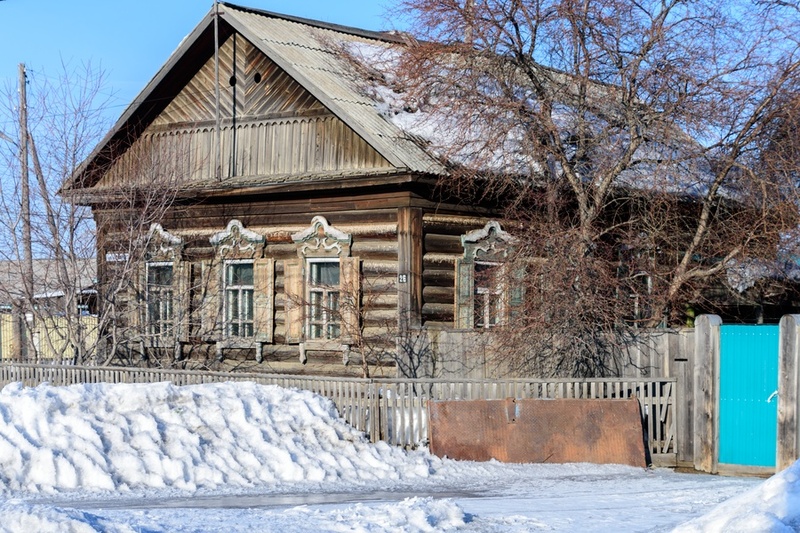 Hotels may be perhaps built in the future, as visitors are constantly increasing. 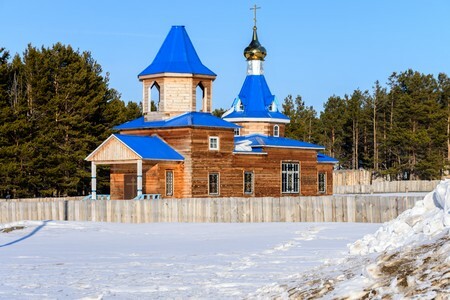 But now let's see some photos of Ust-Barguzin. 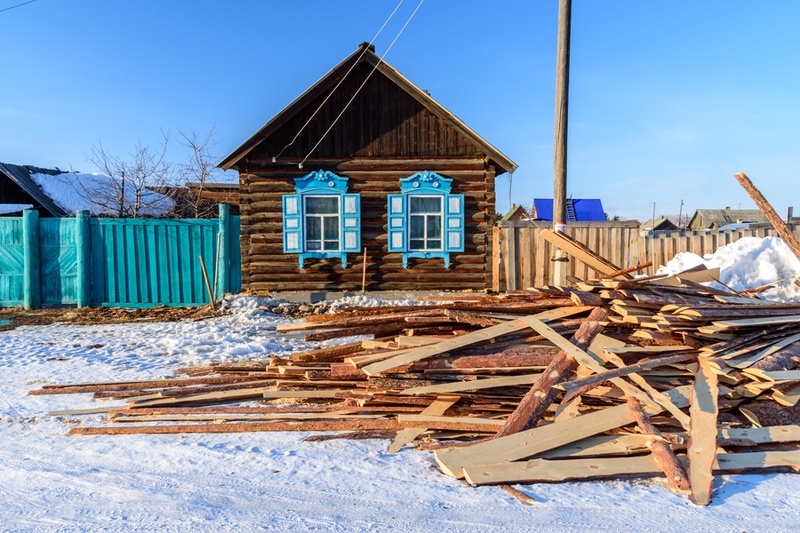 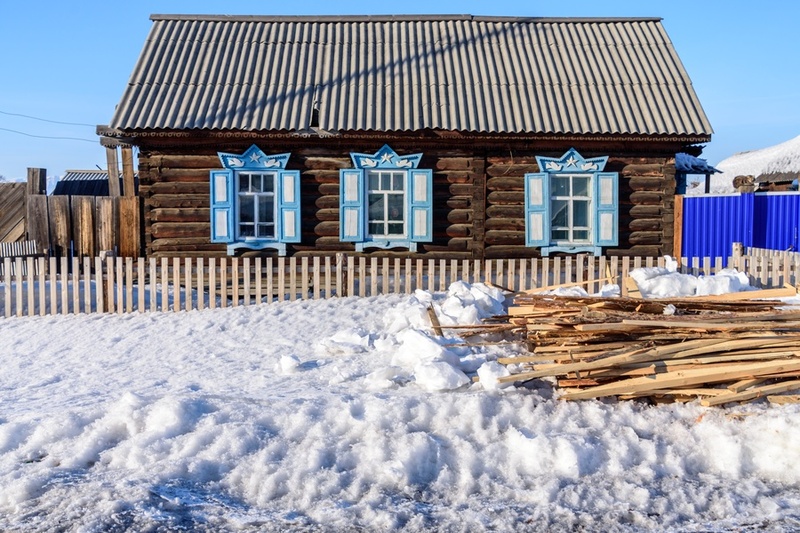 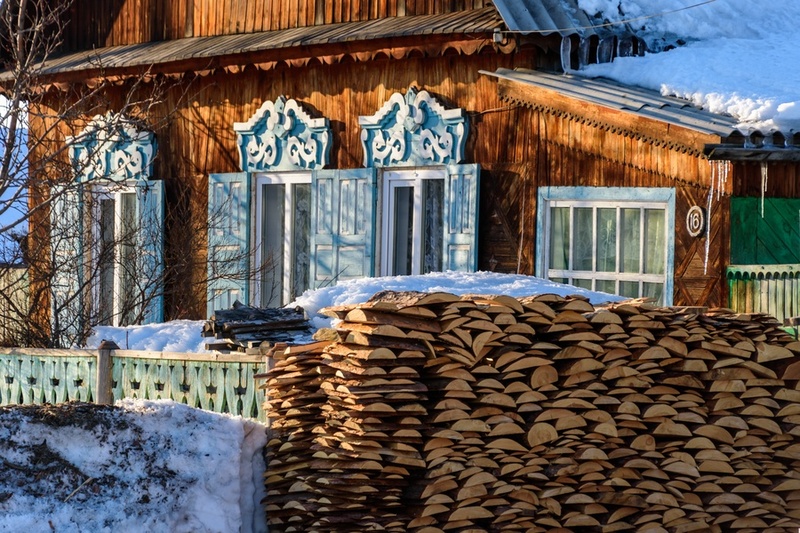 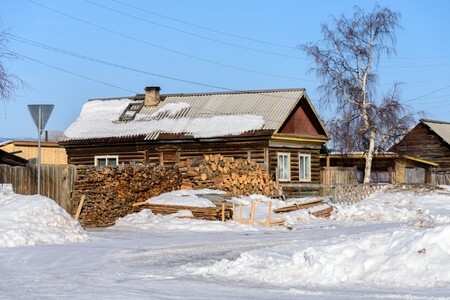 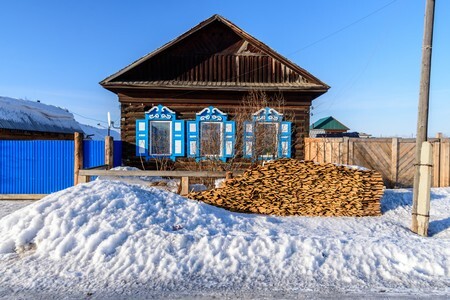 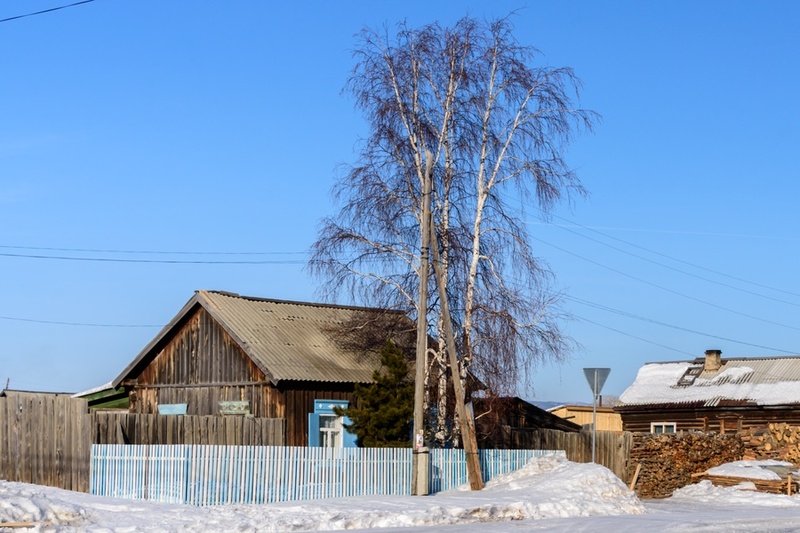 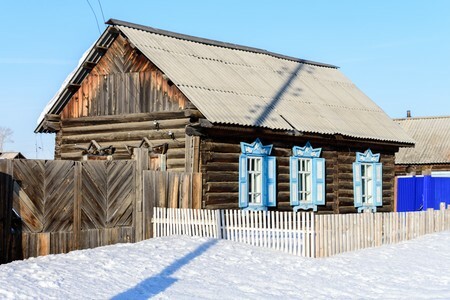 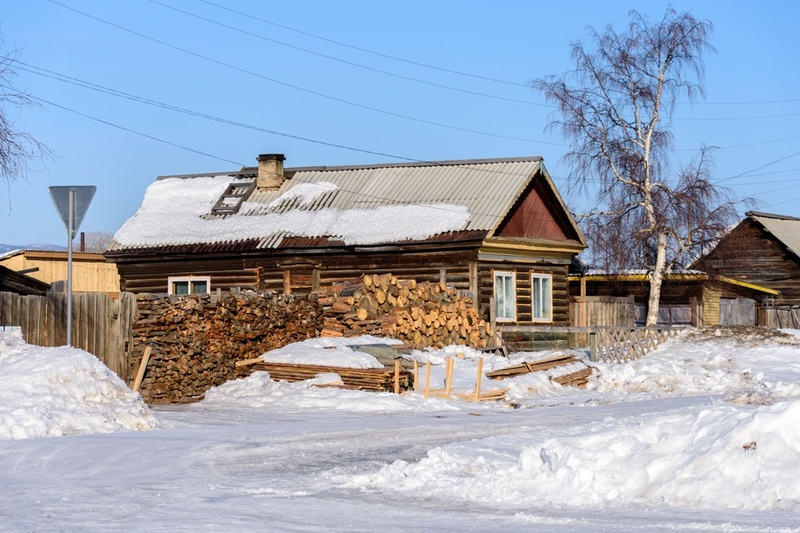 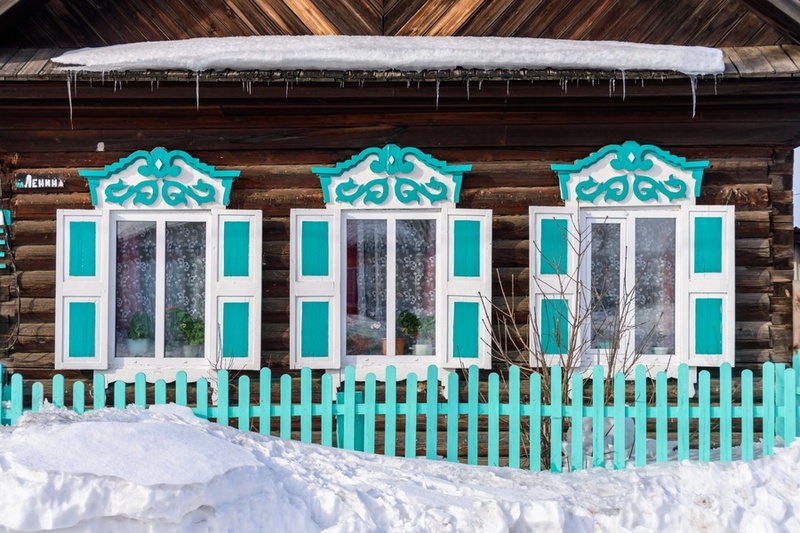 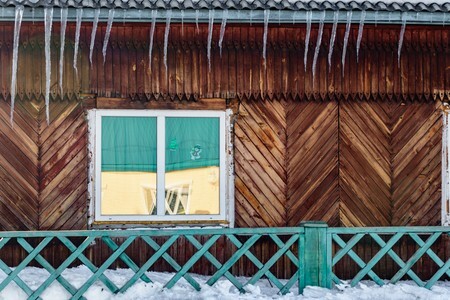 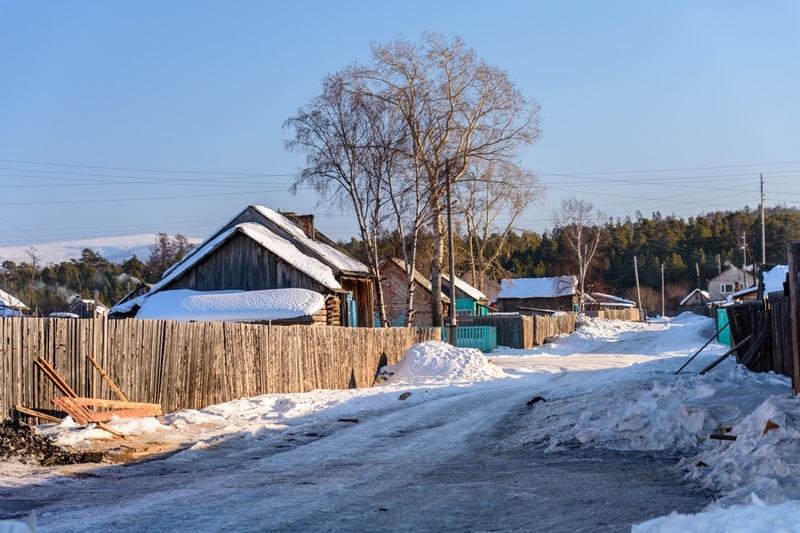 A pleasant walk through the unpaved and snow-covered streets of Ust-Barguzin reveals a charming town, among log houses built in their traditional Siberian architecture, with inlaid wood decorations, icicles hanging from the roof and piles of wood ready to be burned in the stoves. 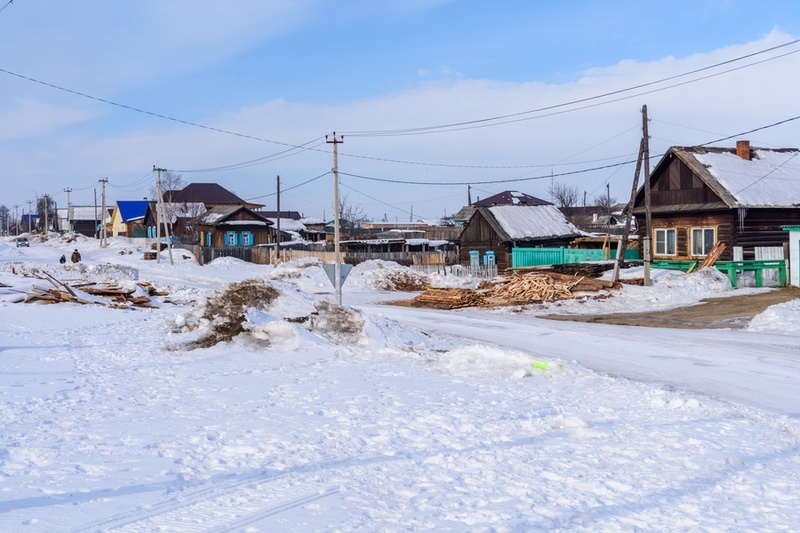 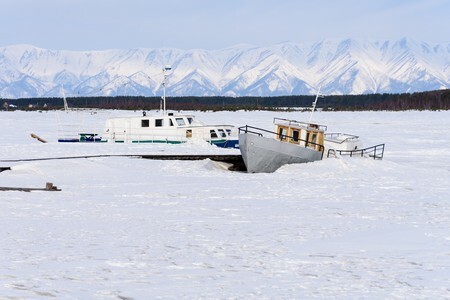 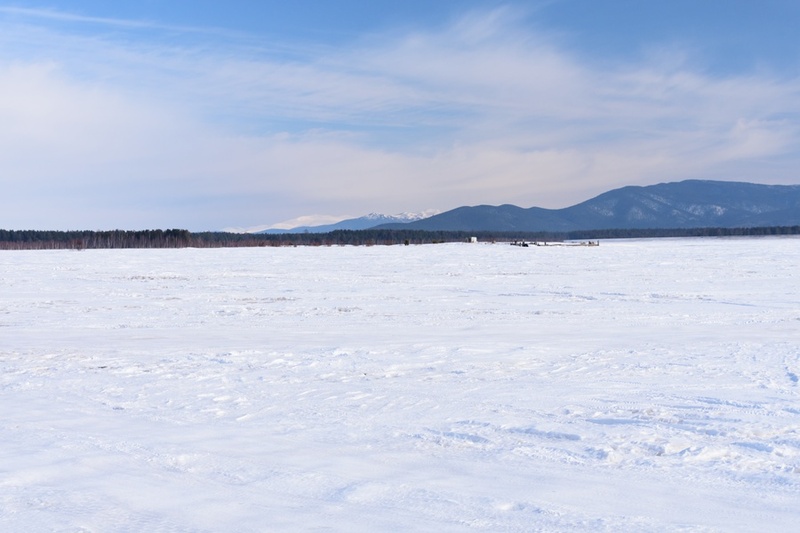 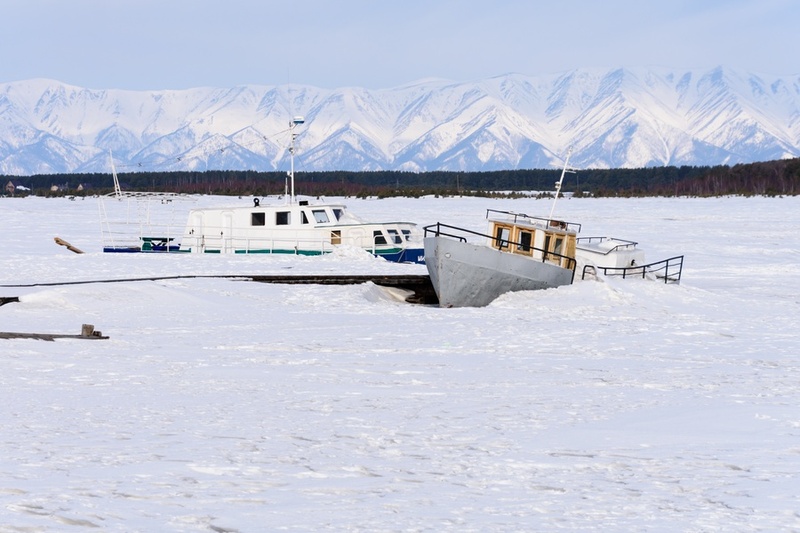 Not far from the center of Ust-Barguzin, the delta of the homonymous Barguzin River (third tributary of Lake Baikal by volume of water) offers snow-covered panoramas among boats trapped in the frozen port. 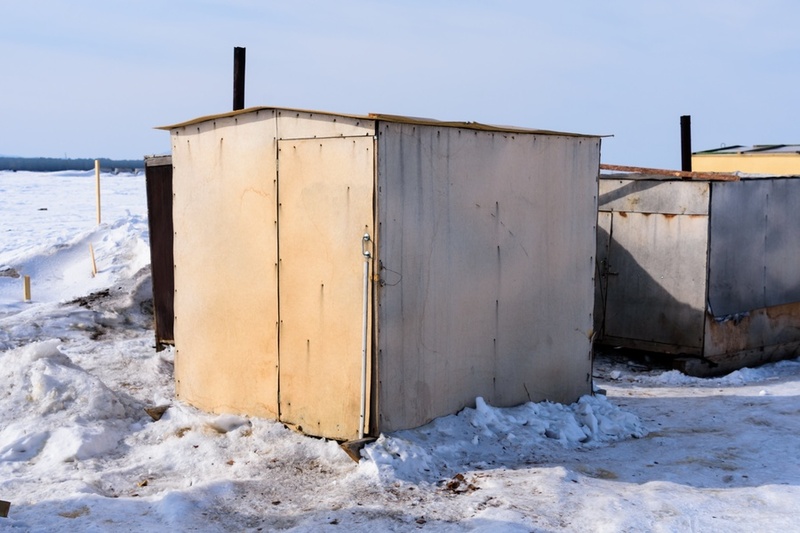 In the delta of the Barguzin River we find numerous fishermen's huts from where locals do ice fishing. 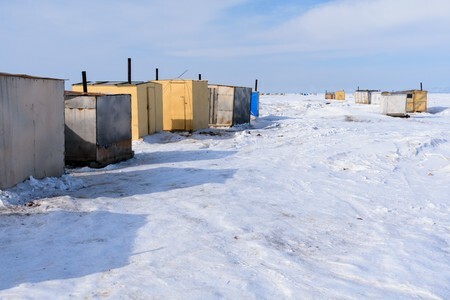 The huts are movable so they can be moved where the conditions for ice fishing are better. 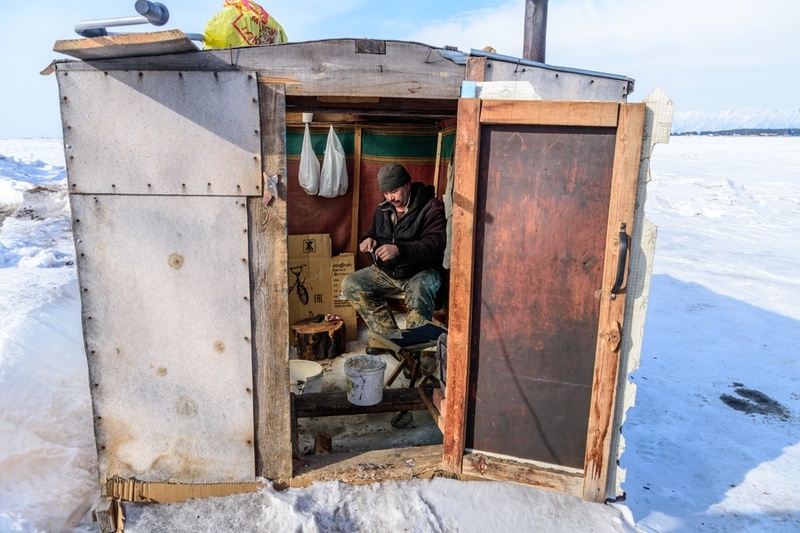 They offer a convenient shelter from wind and cold while the fishermen are at work. The day for this fisherman engaged in ice fishing from inside his mobile hut, looks to be quite productive. 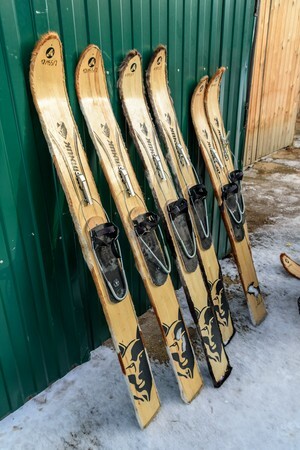 A quite popular excursion in Ust-Barguzin is an half day tour on cross-country skis. No previous experience is required and generally people learn to manage the skis within half an hour (obviously there are no descents, but the trail is quite flat). 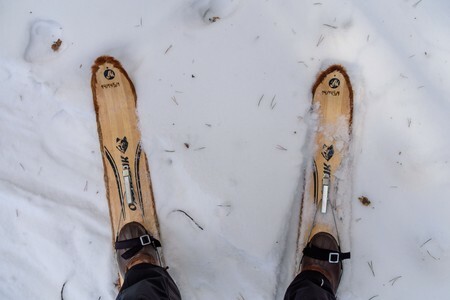 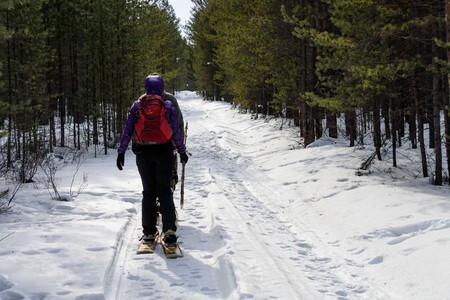 In any case, the excursion is relatively demanding and may be a bit tiring for those who are not used to cross-country skis. 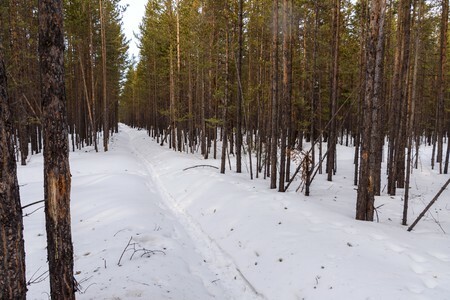 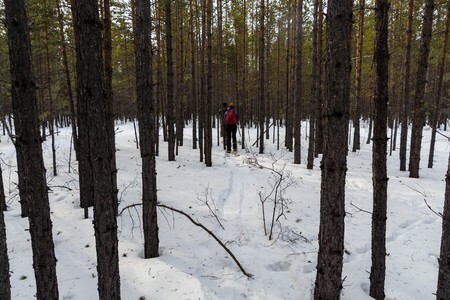 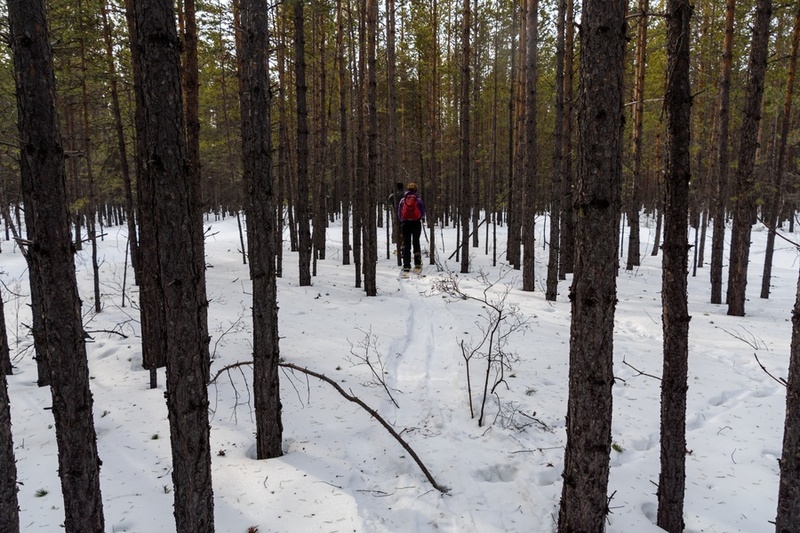 Photos from a cross-country ski excursion in the taiga around Ust-Barguzin, among an infinite number of trees. 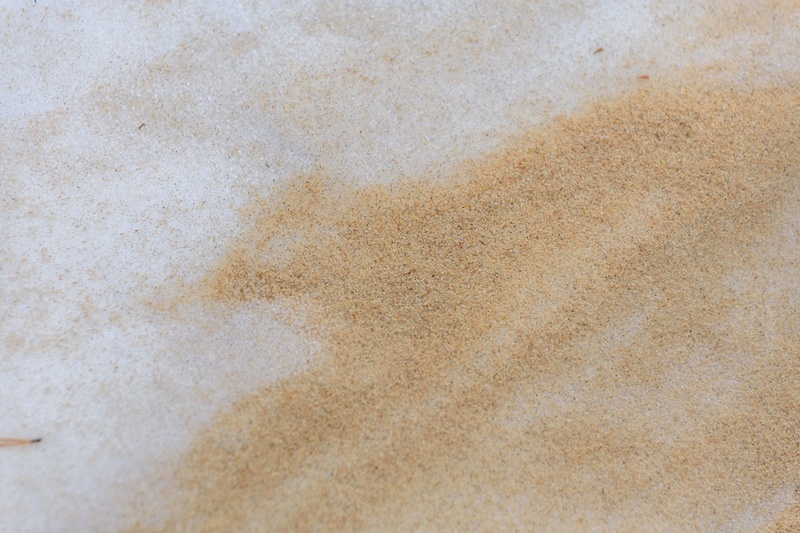 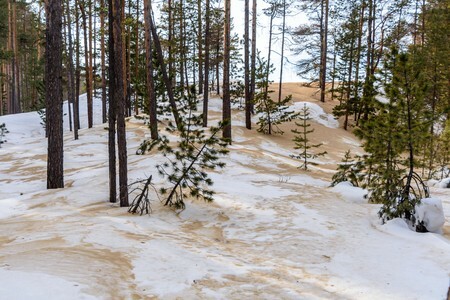 Near a beach of Barguzin river, the sand flies into the forest, creating a curious mix with snow. 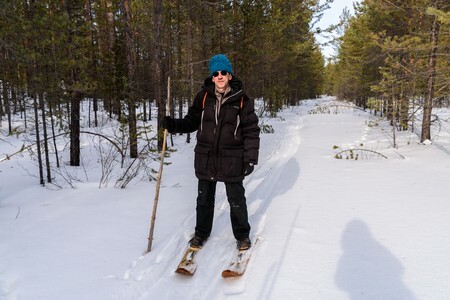 Our guide during the cross-country ski excursion.